Designed by Michael Verheyden, the Lucid collection was inspired by Parisian brasseries and snow domes. 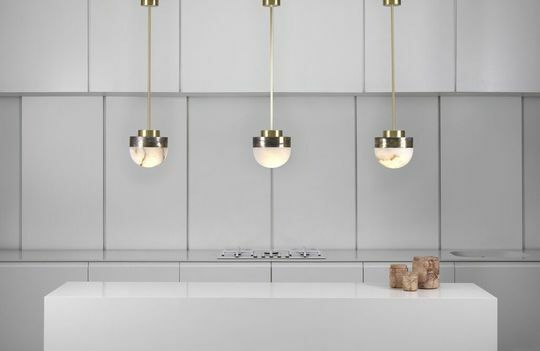 Both functional and sculptural, the light celebrates premium materials, satin brass with oxidized silvered brass, and honed hand-carved alabaster. For the lights, CTO Lighting worked with a silversmith to experiment with new finishes, and with this process discovered a textured finish that compliments the brass and silver. The Lucid collection boasts a pendant lamp, table lamp, and a wall light in the Lucid 200 and 300 option. The visual effect of the lamp is harmonious with the space, adding an element of elegance and refinement that is easily adaptable to its environment.